We understand that as Muslims, da’wah is an obligation upon us all. In this article, Iwewill discuss how we can fulfil this important duty. We have listed some points below about how we as Muslims can bring this blessed act into our lives. 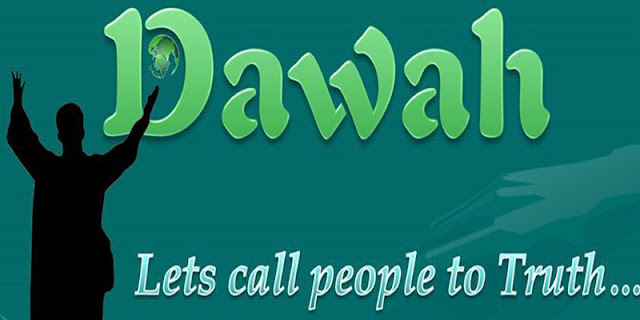 You can contact a da’wah organisation that can guide you on how to give da’wah to individuals from various backgrounds in a variety of situations. These courses are not particularly time consuming and most organisations will provide it for free as well, so cost is not a problem. For my brothers and sisters who do not know abiut any dawah institute in their area, it is worth spending a few minutes on the Internet researching for organisations in your area or country that offer a such service. If there really is nothing available, then you can always look for online courses where there is plenty of material accessible. This is an easy and effective solution to those who feel they do not have sufficient knowledge or even know where to start when having a conversation about Islam. Giving a CD of an experienced Da’ee (caller to Islam) who is able to break down the fundamentals of Islam in a logical manner may be better for you. Without the necessary skills and application of giving da’wah, we may actually hinder the effort of bringing someone towards Islam and trip ourselves up and more importantly, say something we may regret. If you are worried about this, direct them to someone more knowledgeable. Nevertheless, do not let this put you off from speaking to someone by giving da’wah and telling others about the greatness of Allah. Offering a translated copy of the Qur’an is probably the most effective device you can give to someone. You will not find a better read in the world than the Qur’an (and you can tell them that too!). There may be times when you engage in da’wah using excellent logic and examples, but the other person is just not interested. The Qur’an is very powerful and it will have an effect on a person’s heart and therefore it is something we should not underestimate. Consequently, it is a good idea to let people have a copy of the Qur’an and read at their leisure. This can be achieved through various means, for example word of mouth. You can tell people, Muslims or non-Muslims, about a local event that is taking place or the upcoming visit of a famous sheikh. This is something that can be done through modern means i.e. reminders sent by text messages, posting information on your Facebook/Twitter account, and any other means which you feel is effective in reaching people. More traditional methods can be used if you prefer those. For example, you can distribute leaflets to different Islamic centres where they can hand them out to big crowds of people, such as at Jumu’ah prayers. Most large conferences will also have special invites for non-Muslims. Try to encourage a non-Muslim to go along with you by promoting it as a pleasant evening out with plenty of free food available! A tip to help you improve your character is to study the seerah of Prophet Muhammad, where you will find the best of examples. We can also study the behaviour and mannerisms of the companions of the Prophet, as well as the pious people of the previous generations. It is also worth looking online for lectures regarding improving your character and how significant and pleasing to Allah having a good character is. Additionally, we should supplicate to Allah to help us work on our weaknesses and to positively develop our character. This may take a bit of your time initially, but if there is anything you can think of starting that will benefit the people then, In sha Allah, this will be a sound investment of your time. A great benefit of this is that it will count as sadaqah for you In sha Allah. I am sure there are many forms of charity work you can get involved in your local area e.g. the old and disadvantaged, or working with causes supporting the environment, animals, individuals with physical and mental disabilities etc. Taking part in noble causes is also an effective way of helping to remove misconceptions about Islam. Moreover, this is something that was part of the Prophet Muhammad’s(pbuh) life, as he fought for people’s rights before becoming a prophet. This made the acceptance of his message easier among his people as they were well aware of his true nobility, exalted character and mannerisms prior to his message. People are likely to respond positively to your da’wah and have an open mind about your message. Those witnessing your upright character may become curious about Islam and then research about the teachings of Islam themselves. Finally, getting involved in charity work should provide you with great opportunities within your career and thus providing you with success in this life and the hereafter. This means that you live and breathe Islam. So whether you are at the park, in the masjid or workplace, you have a consciousness of Allah and what you should and should not be doing. This can be achieved by making sure you maintain the physical appearance of a believer e.g. maintaining a beard, wearing a hijab etc. This is important because how you dress and look will impact greatly on how you feel. Consequently, how you feel will affect your speech and conduct. Studies have shown that clothing affects how we think about ourselves as well as how others perceive us. If you are in clothing that indicates modesty, the chances are your thoughts and actions will be modest, which can help improve your character. Having Islam in your life continuously will make it easy for you to do that which is pleasing to Allah and consequently, this will impact positively on your character. As a result, you can indirectly give da’wah and help to leave a positive impression of Islam and also remain alert to potential da’wah opportunities. To practically help you integrate Islam into your daily life at the workplace, for example, is by keeping Islamic material with you at all times such as books or an Islamic calendar that you can keep at your desk and are visible to others. This makes your job of giving da’wah easier, as this allows others to initiate a conversation and ask about Islam. A great advantage of allowing somebody else to start a conversation is you do not have to start the conversation, which can be difficult to do with some people and therefore seen to be simply ‘preaching’. Little things such as these allow opportunities to be created and therefore making the da’wah easier. Another idea is to bring food into the workplace/class on a special Islamic occasion e.g. Eid. People will naturally ask what the occasion is and therefore create an opportunity to give da’wah. This is a very useful tool as people always respond positively to food! Furthermore, ensure you are praying in the workplace/class when the time for salah arrives. Try to speak to a manager/senior staff member to arrange for a room where you can pray if there is not already one there and let them know salah is very important to you. By highlighting this, those around you are likely to respect you more In sha Allah and hopefully it will open their hearts to Islam. Lastly, if you are using public transport, be sure to have reading material with you. You will be using your time productively by seeking knowledge as well as potentially creating a da’wah situation where other passengers may be curious about what you are reading. If it is not practical for you to attend a da’wah course, then having a booklet is a quick and easy way to know the types of questions running through the minds of non-Muslims about Islam. In sha Allah, this will provide you with confidence and the start-up knowledge in the field of da’wah. If you are speaking to a non-Muslim, try to mention the simplicity of the religion and what it requires to be a Muslim e.g. believing in one God, acknowledging the Qur’an as a direct revelation from God, and recognising Muhammad(pbuh) as the Messenger of God. People may try to ask you lots of questions regarding Islam. For example, “Why does Islam allow such and such?” An effective response is to say, “I can answer that, but you need to understand Islam as a package. So if you have a few minutes I can answer that for you.” This is when you can start giving da’wah about the Creator and the greatness of Allah and create the beautiful picture of Islam. Additionally, this approach applies to Muslims. When giving da’wah, it may suffice to remind others about the greatness of Allah, His names and attributes and to remind others of His favours and blessings. Keeping a simple approach makes your job easier and helps to avoid conflicts and philosophical debates. What other effective ways do you know of to give da’wah?